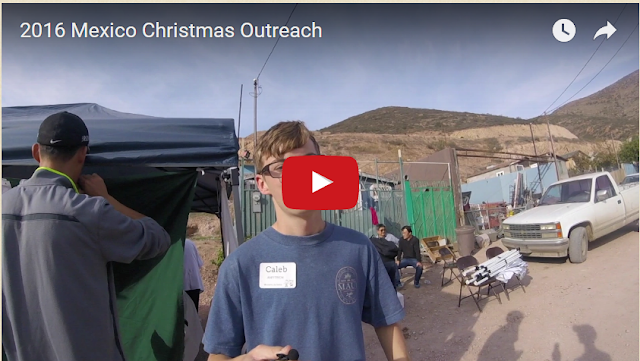 I could easily tell you many statistics about the successes of Reaching the Hungry in 2016. However I think a story is a more powerful testament to what God has done. 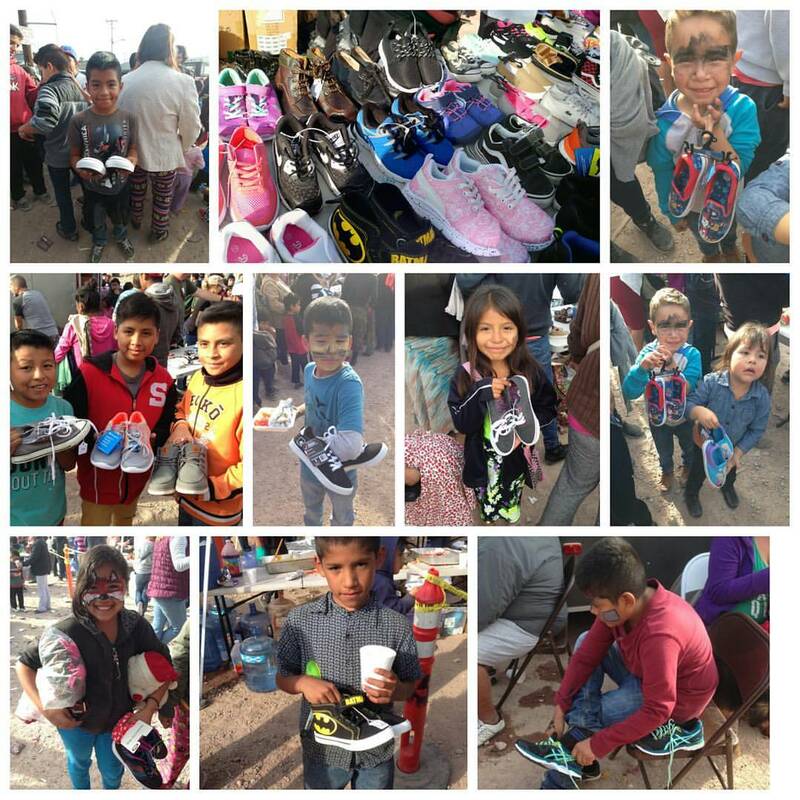 Hundreds of children received new shoes for Christmas. 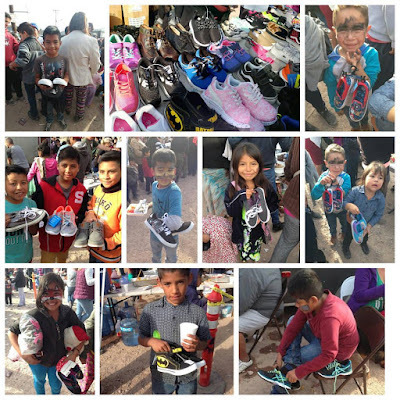 On the December Mexico outreach trip while hundreds of volunteers were painting faces, feeding families, doing medical checks ups, dental work, eyeglasses fittings and giving over 500 children new pairs of shoes their was one moment of the day which stood out most. 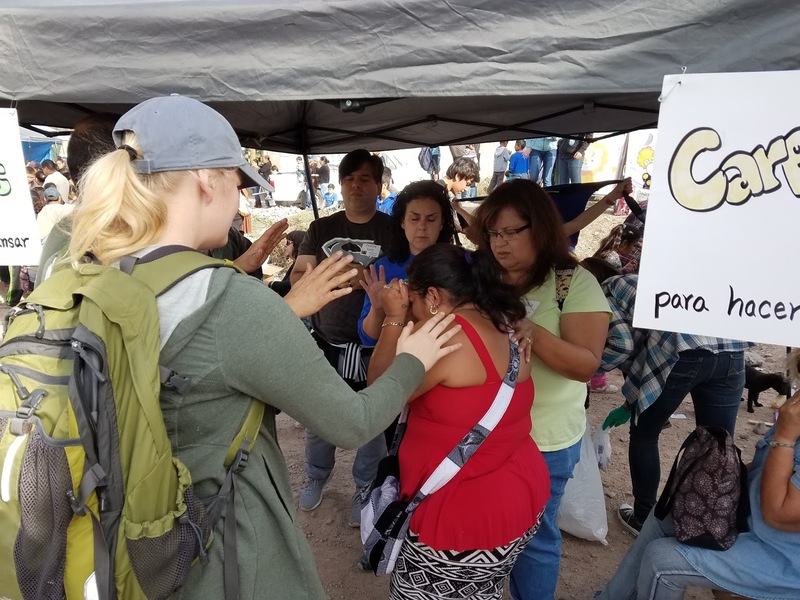 To the side of all the commotion, out of the way of the soccer game and balloons, the volunteers in the prayer tent got to see God's power. Hundreds of people got medical care, teeth pulled, fitted for reading glasses, and acupuncture. Face painting, new shoes, balloon animals, soccer, family pictures, etc. One woman who was feeling forgotten, isolated, and buried by heavy stress and oppression came to the group for prayer. She shared that her husband was in jail. She told them that she was in pain. She could not forgive. She was losing hope. And it became apparent that she was spiritually oppressed. The group began praying for her, going to battle for her, they renounced the darkness, and they coaxed her to forgive. One of the sweet ladies praying for her places her hands on the oppressed woman and when she ran out of words to pray asked God over and over to help her not be afraid. When the woman was finally able to forgive, she coughed and sputtered up blood, and the tension in the prayer tent finally broke. It was like a new feeling had come over all of them. The woman's whole countenance was changed. She was filled with light. Everyone could visibly see the hope returning to her face. By Jesus' name she was delivered from oppression and she began laughing and crying and hugging everyone close enough to touch. Isn't God so good?! He orchestrated, planned, and mobilized hundreds of people to get every person where they needed to be so he could reach out and touch this woman in a tangible way and set her free. Going into the new year Reaching the Hungry can't wait to participate in ushering more light and hope into the lives of the forgotten, isolated, stressed, poor, and oppressed with the Gospel. Please continue to pray with us, over and over, that we will not be afraid to do everything God asks as we bring light to dark places. Pray that in 2017 we will tangibly represent Christ well. Thank you for all your support and for helping us see the impossible achieved for his kingdom.